In my never-ending pursuit to deliver rigorous financial information in a very dry and straightforward manner, I bring you the third installment of the ongoing investigative series: Great Trash Finds. Today I am publishing the research I conducted into my sister’s trash. Specifically, the stuff she’s pulled from the trash. As you may recall, the last edition featured my parents’ epic trash discoveries, so we’re trying to keep it in the Frugalwoods family. I’ll have to coerce my brother and his wife to send me photos of their trash next (because I know they have some choice finds). Best part about this is that I periodically receive texts from various family members of random objects they’ve pulled from the trash. My favorite are the texts from my mom, which are usually apropos of nothing and not accompanied by any explanations. Here at Frugalwoods we are huge proponents of taking discarded items–it’s frugal, environmentally sound, and fun! You better believe Mr. FW and I go trash huntin’ for entertainment (doesn’t everyone?). And you wondered how we have a $0 entertainment budget! My sister (who has selected the apt moniker “Frugal Sister”) and her husband are some fellow frugal weirdos living an awesome life in semi-rural SoCal with their three adorable kiddos, an unknown number of chickens, many grape vines, numerous gardens, and one big ol’ dog. I’m trying to entice her to write a guest post on frugal kid tips, which I’m hoping she’ll do as she’s 1) hilarious 2) frugal 3) not going to charge me for her content… yet. Win! I’m a desk! Take me outta the trash! Love this color and the design. Can’t believe someone would deign to trash such a fantastic piece of art! Side bonus: this desk sits atop the cork floor my brother-in-law installed in several rooms of their home. Another DIY hero in our midst. Frugal Sister’s Find #2: Chairs for Babies! 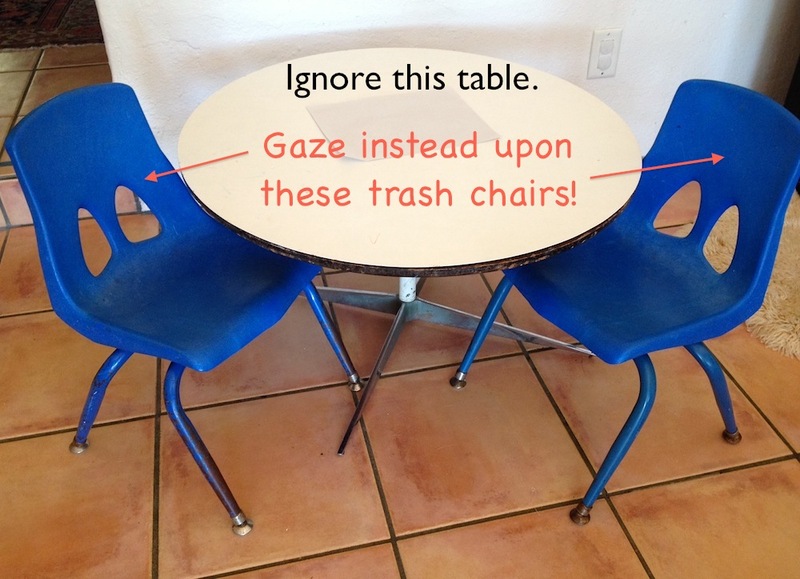 Ignore the impostor table and focus on the wonder that is these fabulous kid’s chairs. Even Frugal Hound could fit in a chair like that (she’s asked for one, but I have yet to see any in our trash here). Frugal Sister and brother-in-law located this beaut of a bar abandoned in an alley. They re-tiled the top, making it a gorgeous outdoor entertainment piece. Bonus is that it cleverly conceals their air conditioner! Now this is a rockin’ good trash find. You might even say it rocks. * Plus, check out more of my brother-in-law’s handiwork with cork flooring. Four fabulous mid-century modern chairs my brother-in-law rescued from a dumpster. They use these along with a table as their kitchen set. Trendy and trashy. Love it. 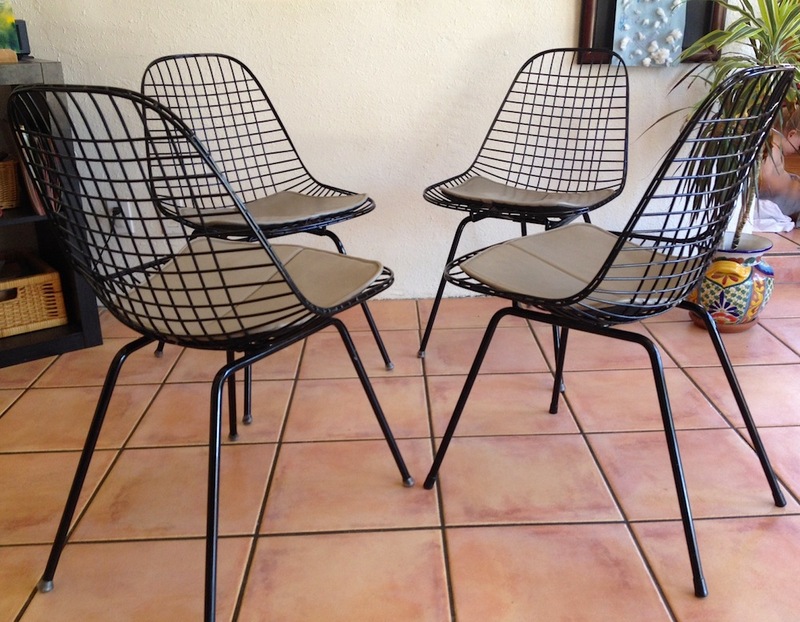 Bets on how much these chairs would be at a hipster, mid-century modern shop? Expensive. Let me just tell you that they would be expensive. *Sorry about that last one, not gonna lie, I’ve been drinking boxed wine. As I like to do with each Great Trash Finds installment, let’s recount the things you all found in the trash–and subsequently shared with me. No More Waffles finds bikes. Multiple bikes! I could really use a new bike, so maybe I’ll head over to scout his Belgian trash. Reader ThriftyD found a window box fan, which works just swell. Best part? He’d been in the market for a fan for 6 months but being a frugal boss, held off on purchasing. 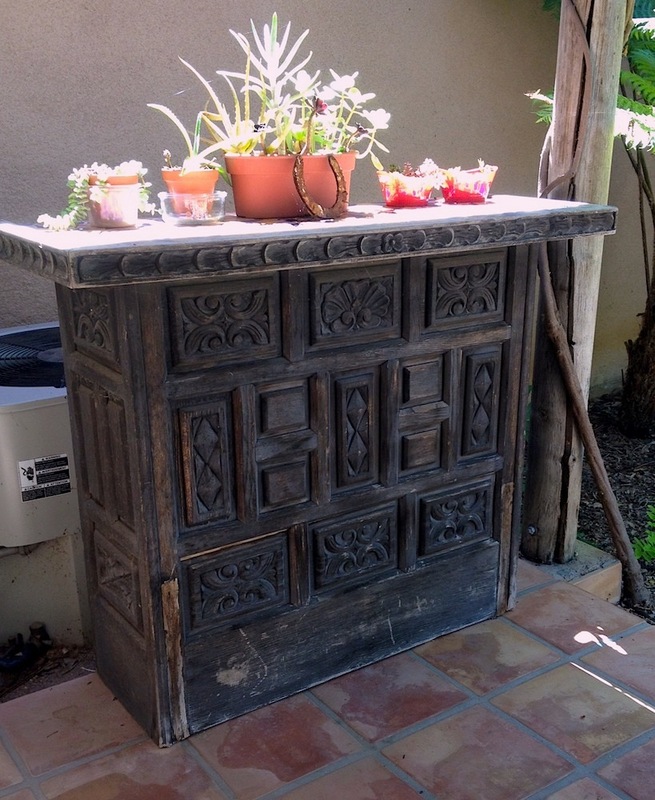 Sure enough–a dumpster delivered! Now there’s a cool trash brag. Will at First Quarter Finance found a piece of luggage. With money inside! Double trash brag. Shannon from Financially Blonde and Kassandra from More Than Just Money haven’t found anything good, but they’ve both supplied some choice pieces of trash. I’m currently camping outside of their houses to see if they’ll throw out anything else. Alicia from Financial Diffraction takes her neighbor’s empty beer bottles to redeem for cash. She admits to doing this in the dead of night, which I highly approve of. Nicola from The Frugal Cottage found a £5 note on a beach. Woo hoo! Lauren from The Write Budget also keeps it all in the family. Her mom found a nice dresser, which her sister is now re-painting. Love the upcycle! Femme Frugality has a friend who finds TVs. I wonder if they watch trash TV? John from Frugal Rules found a fully-operational bike for one of his kids. Score! 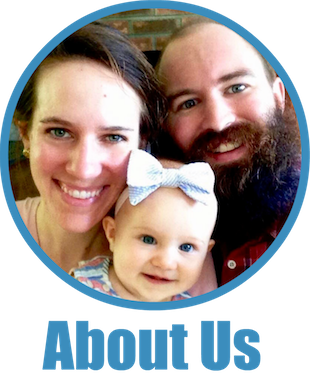 Ryan from Impersonal Finance’s favorite finds include an exercise bike and a TV stand. It’s the latest trend in exercise–bike while bench pressing a TV stand. Leah from Penn receives a bonanza of excellent trash thanks to her residence in a dorm. The best? Columbia snow boots that fit her husband perfectly. Laurie from The Frugal Farmer shares that her brother, a trash hauler, locates all kinds of fabulous things, including lots of electronics! Deb from Debt Debs found a toy rocking horse for her grandson. Another rocking good find! Your turn! Quick, what’s the funniest item listed on the first page of your local Craigslist’s free section? Currently on the Boston Craigslist Free section: Free Wedding Chuppah and Free Reptile (of indeterminate species). What could go wrong? 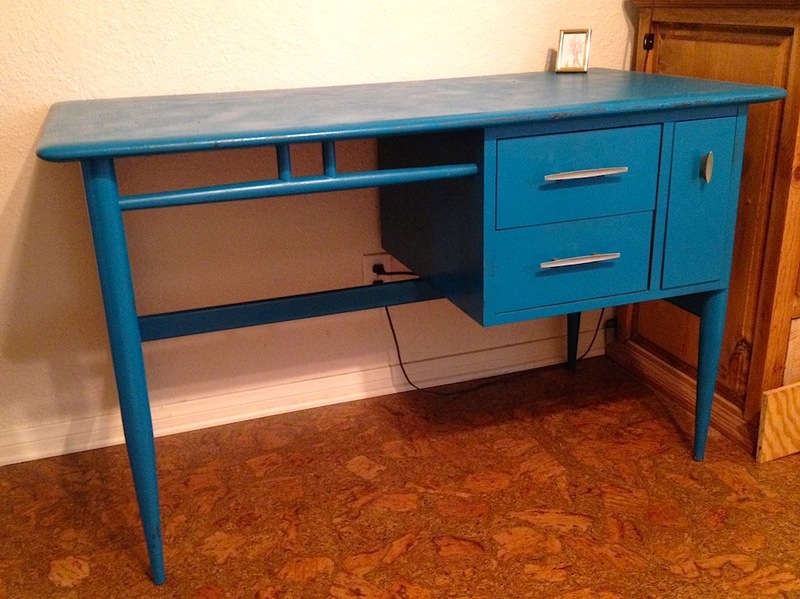 You seem to like the color blue (vintage desk and baby chairs). I like by the way the study table, which your sister is very lucky to have found it. How much did she get it? Oh man, someone in my city is giving away a trampoline. I want me some jumpin’ for free fun! Right? Imagine what death-defying antics could be enjoyed on a free trampoline! Well here in Canada we use Kijiji and the funniest listed item on the first page was a service. Squeerdancing! That’s amazing. Haven’t seen that before, but I fully support it! I’m on my phone and I didn’t see a “free” page so I just searched for free. And I saw a link for “Pimped vs Not Pimped: Street Walker Values” ummmm. Where did we move to???? Wrong section of craigslist! Hit the back button quick! I love the chairs for babies and the mid-century modern chairs, they are so lovely! Me and my sister are a frugal type too, how I wish we also have a local free section too! I honestly think the best stuff never ends up on the free section. People just put it on the curb knowing there are enough frugal mavens in the area that it will be gone in hours. We’re happy help people out like that! Wow! Your family is amazing at trash finds! I was actually talking about this a week ago with a friend and she said in her neighborhood there are a number of people who drive from all over the “shop” the streets the night before trash pick up. It’s well known in the community that you leave or pick up other’s trash on those nights. I thought that was hysterical how organized that process was. Yes! When I lived in Chicago, twice-a-year there were moving days (genius whoever coordinated the rental agreements there!) that everyone knew to dumpster-dive. Awesome alley finds on those nights! I think it’s even more organized now and there’s even a group called the ‘freegans’. Free horse manure! Only in Vermont!! I’m loving all those free chairs, especially the kiddo ones. They bring me back to my elementary school days! Those are some great finds, I’m impressed. That blue desk was awesome. Our best find is probably the entertainment center we have used for the last 3 years, it was made of cherry oak and has glass shelves. When we saw it and brought it into our apartment at the time, it felt like we stole something it was so nice, we even went back downstairs and waited for a little bit in case someone came back for it……..SCORE! Mrs. FW has in fact tried to take a table that was in the process of being moved into a house. A free laundry cart – bright orange and ginormous. Wow amazing finds!!! The first funny thing I saw is free chinchilla. Awe sad! Poor little animal. Hopefully it finds a good home! Funniest thing about chinchillas are the name. And thinking about how frugalhound would react when meeting one. Hint: we should never let that happen. 15 Beds! Wowza! Are they going to live in it without running the b&b? I guess you could host one heck of a family get together there. Oh my gosh, the free kijiji section made me so happy because it was for an event to “meet a real live mermaid”… Can you tell I live in a maritime province? Or Denmark? Alternatively, it made me very sad because it also had three ads for free cats and other animals. They’re not disposable, people! (steps off soapbox). Love the desk and the mid-century chairs. Your family is awesome. Hold the phone! Real Life Mermaid? That would be either really cool or really weird. Probably weird. Maybe disastrous. Agree with your soapbox, step on it anytime! I am absolutely in LOVE with the wooden bar and the chairs. Aren’t they neat? My sis-in-law has the coolest house. These items aren’t anomalies! Trash finds FTW! My parents have a rocking chair like that one. Depending on the make, they go for quite a bit! Neat! Always a major bonus to trash pick something that later turns out to have worth beyond it’s intended purpose. Someone in my office picked up a relatively rare version of an Eames chair. She later sold it on CL for $800. It’s a better return than anything I’ve found, that’s for sure! Amazing finds, I really like that rocking chair and the vintage desk. Frugal Sister has a discerning eye for the nice trash. I hadn’t seen that desk before, it’s quite fetching! Mine has a number of listings for free comedy shows, so that might be technically the funniest. But then I clicked on a listing that turned out to be not free at all- instead it was free range chicken manure, only $5 for a 5 gallon bucket. What a deal! I am seriously envious of that desk! I’ve never found anything very good. I sometimes find trash that looks good, take it, then figure out I don’t need it and re-trash it. The dumbest thing on my Craigslist is a Nutella Carousel Dispenser. Not as awesome as it sounds!! It’ just a display that rotates. That’s pretty random. For the true nutella collector I guess. I’d much rather have a free jar of nutella! I have to actively look away when we pass that section of costco! So much tasty goodness! You can find gold in the Free section of Craigslist. So many people move and give stuff away! Thankfully we trash mavens, true of heart and strong of back, are ready and waiting to save them from their unwanted awesome treasures! There was a free foosball table on the first page of the free section where I live. Looks like it’s in great shape too! That’s a solid find! Nice! I love that desk (and the color)! Also, that wooden bar is beautiful, I love the detail. So jealous of all the great finds! Funniest thing on Craigslist at the moment is “free leftovers.” Okay, on closer inspection of the actual post, it is actually not an offering for free food…how misleading! Free food would be pretty enticing :). I love the desk and bar too! My sister really has some great trash. Nice finds Mrs. Frugalwoods! 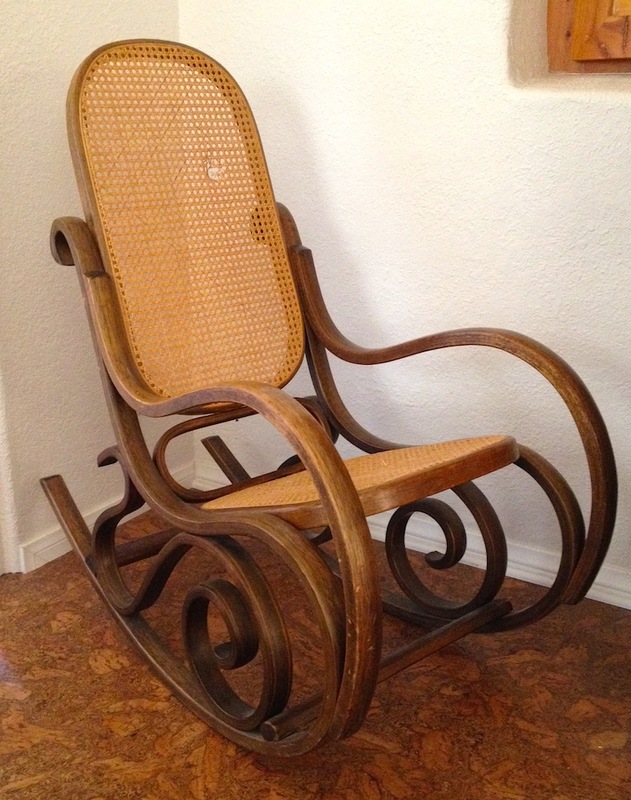 I love that rocking chair, we had a rocking chair before and I enjoyed to sit there for how many hours. Rocking chairs are pretty rockin’, I must admit. Wow! Great job! I don’t typically look through the trash but I did find a great pair of men’s swim trunks on the side of the road once. I took the home and washed them and my husband had no clue. He looked great in them! I haven’t found any great finds really, but there are alot of cool things to find! Like a bench press tv while you bike, who would of thought?! I know, right?! Who knew! It seems like Frugal Sister has an affinity toward finding chairs in the trash. My wife tells me that having mismatched free/cheap chairs around the house should a frugal badge to be worn with honor. 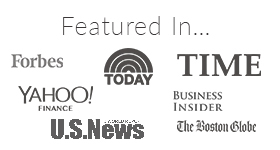 Whoa – awesome finds! I especially like the modern chairs and the bar/AC hiding strategy! I agree! Those are pretty stellar. Ha, thanks for the shoutout, Mrs. Frugalwoods! :). My window fan had it’s first night off in a long time as it was rather chilly last night! Still works as great as the day I found it! You’re most welcome! Glad to hear the box fan is still oscillating with the best of them. We’re starting to feel the chill creep in here as well… winter is coming. Those look like some nice finds! My parents are experts at this. They don’t actually pick from the trash but buy things at auctions that most would consider trash. My dad refinishes antiques so many pieces in our household growing up were bought very cheaply…he then made them into masterpieces. That’s a wonderful skill to have! Kudos to your parents for their creative frugality. Thanks for a fun post Mrs. 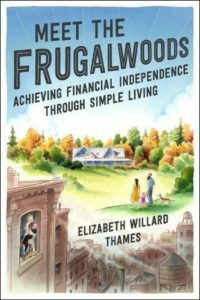 Frugalwoods!! Your sister has some great taste and it’s also a wonderful thing that she gives a second life to someone elses’ trash! Thanks so much for stopping by! I’ll have to check out your finds too! Bikes! What kind of evil people throw bikes in the garbage?!? Grrrrr!!!! Most of our kid’s bikes are trash finds. In the case of the first one, the chain had fallen off. That. Was. It. Five minutes of work and little C had a sweet Dora ride. The second bike rescue came when I lived among a bunch of snooty people. We were amazed every trash day when people would throw perfectly good items out. At the end of summer, one neighbor would toss all of her outdoor plants in the garbage, still in their pots! She said that she just bought new every spring. WTP*!?!?!? But I digress. I was astounded when a neighbor threw a perfectly good Trek in the trash. The bike was in great condition. Oh well. Their trash is my gain. What the plant?!! Seriously! My mom finds plants in the trash all the time. What is with that?! And I am extremely jealous of all these bike finds. I’m in dire need of a new bike (I currently ride a girls’ Huffy)… but I just don’t want to spend the money. I’m off to check out your trashy finds now! Western Slope Colorado Craig’s List: Free Polish Rooster. I’m calling right now! Hey! Free Rooster! Sounds good to me! I must be looking in the wrong places at the wrong time.. you have some amazing finds! I’m a little jealous : ) I don’t think I’ve ever uncovered a great find like these. You can do it! Believe in yourself and the power of your trash-finding abilities :)! Holy moly you’ve got some skilled family! I’m in love with the chairs. They tap into my inner hipster that only marginally exists. And they totally watch trash TVs. Saw an operational big screen circa 1997 out at the curb the other day. To top it off, I’m pretty sure they watch trashy TV on their trash TVs. Big Brother specifically. OH I know, I love those chairs too. I’m still shocked that they found the complete set! Trashy TV on trash TVs–it could be a poem :)! However, I do have a really sweet cream-colored hall table I got off the street over a decade ago, which I use as a dictionary stand. My dresser isn’t trash-picked, but it was a hand-me-down and is a lovely oak piece (which needs refinishing at some point, since it’s got some serious scratches from moving around so much.) Everything else I own in the furniture department is craigslisted or flea-marketed, I think. As for my local craigslist, I am torn between the Who Wants to be a Millionaire coffee mug, and a wing chair covered in American-flag-themed fabric. You’re my kind of gal! I’m the same way–if it’s not from the side of the road, it’s probably a Craigslist or garage sale piece. Agreed on driving a hard bargain with Craigslist sales, people are almost always willing to make a deal! Bummer on the bed bugs :(. Thanks so much for stopping by! Love that desk! What an awesome find. I should share pics of the dresser my sister painted- it turned out great. Amazing what a little sanding and paint can do. I love that desk too! I’m pretty envious of it, actually :). Yes, please do share photos of that dresser! Sanding + paint = miracle workers. Last Sunday I was driving to the Post Office and I saw a little desk by the roadside. Now, my only grandchild is coming to visit next week for a week. I thought, Granddaughter and I could make a project of this desk while she’s here, sand it and paint it and put in Daddy’s trunk when he picks her up (it’s a 7 hour drive and I only see her a could times a year). She’s 6 years old and it’s a small desk. Went to the PO. Drove by again on the way back, bottom drawer stuck and there are only two drawers. Heavy as hell!…Need help. Drove home and charmed my other half into taking his truck and helping me score the desk. He HATES when when I do this but he loves me! This desk was so close to home that I actually considered walking there with my dolly and bringing it home that way. He wanted to die when I told him this and couldn’t get into his truck fast enough. He was embarrassed (always is) and parked the truck to hide his identity from the neighbors. Anyway, the thing weighed a ton for such a small desk. When we flipped it over to put it in the truck I noticed a stamp “Heywood-Wakefield”, and that was familiar to me, went home and Googled and found it’s an Ashcraft Desk by Heywood-Wakefield and they are currently selling for $400-$500. I’m selling this on Craigslist. I’ll find another desk for Granddaughter and we can work on it her next visit. (She’s a little young for spray paint anyway). I was smiling all day long Sunday and Monday. Free “blood drawing chair” craigslist Boston, August 11, 2015. Can’t beat that. Oh. Huh. Yeah. Not going to go pick that up, but someone out there is going to get an awesome halloween prop!